Logging practices in B.C.’s coastal rainforests are a significant source of greenhouse gas emissions and must be included in B.C.’s official annual carbon emissions tally, Sierra Club BC said today in a report. The report, entitled Restoring the Balance for Climate and Species, reveals that B.C.’s official carbon emissions would be 24 per cent higher if emissions from coastal rainforests were included. Read the Times Colonist article about the report. 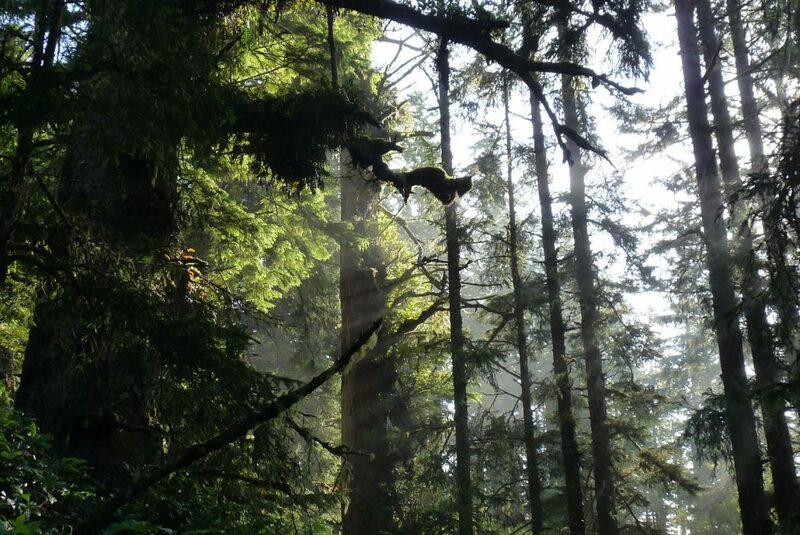 Fast-disappearing old-growth forests on Vancouver Island and B.C.’s south coast mean there is a high risk of species extinction in an area covering a surprising two million hectares. Although the BC government designated new Old-Growth Management Areas on Vancouver Island in 2010, they included 45 percent poor or zero productivity forest ecosystems. Only six per cent cover forest types with the highest carbon storage per hectare and the highest risk of species extinction due to scant remaining old growth. The report recommends that B.C. make coastal rainforests a carbon sink rather than a carbon source, by prioritizing conservation and improving forest management. “Global warming and impending species extinction mean that we must reduces carbon emissions from all sources very quickly, and take a new approach to forest management, with immediate action for high-risk zones along B.C.’s coast,” said Wieting. B.C. carbon emissions would increase by almost 50 per cent if the B.C. government included emissions from coastal and other forests in its annual greenhouse gas emissions inventory. The report was released at the start of the United Nations International Year of the Forest and just as Environment Canada confirmed 2010 as the hottest year on Canadian record books. NASA also reported 2010 as tied for the hottest year on record. You can find our detailed December 2009 State of BC’s Coastal Rainforest report here. Learn more about Sierra Club BC’s work on forests and climate.